Join us for spring and get a new Tambourine Song Collection. Haight, Inner and Outer Sunset. Join our research-based, fun music classes for newborns to five years old. New? Try out a class! Due to popular demand, we are offering TWO Music Together with Spanish on Tuesdays @ 10:30 and 11:30 with Teacher Alex in the Haight! Can’t attend on a weekday? Join a Sunday 3:30 or 4:30 classes in the Inner Sunset or the Haight/Ashbury. Join our beloved Teacher Emily in the Outer Sunset in San Francisco on Fridays @ 9:30 and 10:30. Check out our amazing testimonials! Join us for an afternoon class! NEW Babies only classes for spring! Tuesday at 11:30am with Teacher Corey in the Inner Sunset! AND Wednesday at 11:30am with Teacher Alex in the Haight! Join our 10-week SPRING session now! Spots are limited and filling up fast. We offer award-winning, fun music classes. 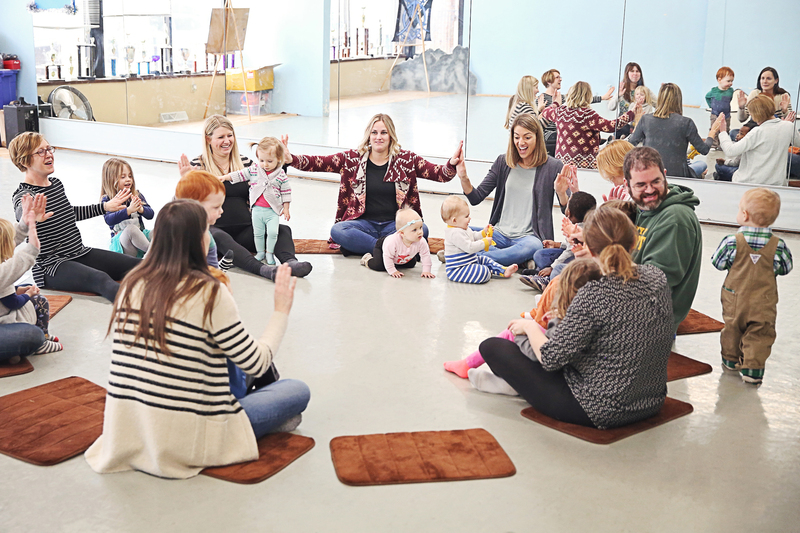 All of our classes are perfect for newborns, babies, toddlers, pre-schoolers and big kids up to five years old and the adults that love them in San Francisco in the Inner/Outer Sunset and the Haight. We create a musical community in a relaxed environment in our San Francisco Music Together® classes. Your child develops their musicality, while everyone, adults, and children are having fun. All adult caregivers are welcome: Grandparents, Nannies, Aunts etc! 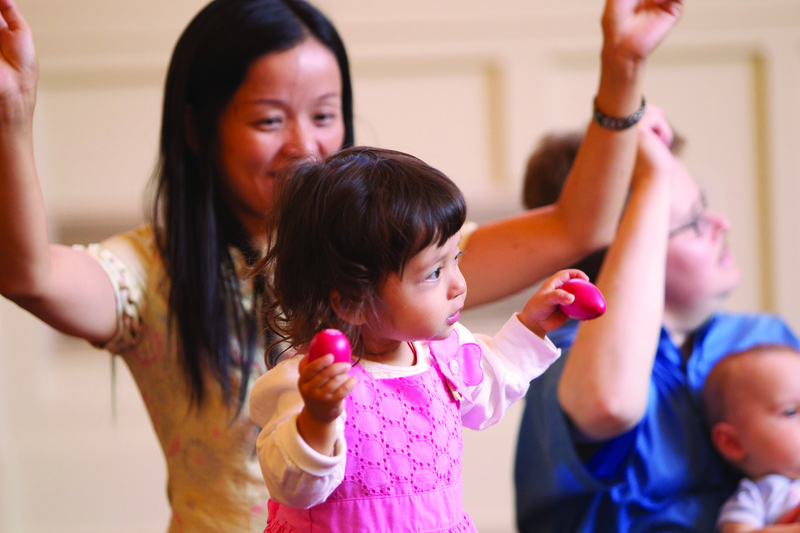 Jam with instruments, dance, and sing in a FUN research-based, NURTURING setting. Each semester for 3 years you get a new song collection that you can play with the Hello Everybody App. Text or call: 415-745-1495 or Email us. New? Register here to try out a class almost any day of the week!